Wednesday at 9 pm the decision was made for a few of the AYF Youth Corps participants to join AYF youth from all over the world for a pan Armenian panagoom (camp). Those of us who were fortunate to participate were very excited by this decision and knew that it would be an amazing addition to our trip. Because the decision was last minute, we needed to leave Thursday at 3pm before the closing of our Shushi jambar. Not only did we have to do laundry, pack our stuff, and prepare to leave, worst of all we had to leave our kids in Shushi. Usually I don’t get attached to people in a couple weeks, but these kids made my usual impossible. From the start of camp, the blue color, the group I was a khmpabed (leader) for, were the highlight of camp. The first day, while we were waiting for lunch Vahe asked the kids if any of them had talents. Asri, stood up and said I can sing… We invited him to the front of class and told him to sing a patriotic song. The little 13 year old boy shocked all of us by singing “Baderazm Enk Gnoom”. None of us expected that little body to make such a strong, impacting sound. Then during the chorus, Ara joined in with his squeaky, but amazing voice. We were called to lunch, where we told the red and orange counselors about the talent we discovered. The next morning we invited Verginie and Patil to come see our boys sing. Asri and Ara sang “Baderazm Enk Gnoom” again, then sang a song none of us had heard, “Seeroom Em Kez”. All of us fell in love, especially Verginie. The next day we wanted to really show off, so after lunch the blue group put on a small concert for the rest of camp. These boys were happy to be the spotlight. These boys became my friends at camp… When I didn’t understand the Gharapaghtsi dialect, they would translate. When I found out kids were running away from camp they would go find them. When I needed the group to get quiet and line up, they would make it happen. It’s usually not right to have favorites but it was unavoidable. One morning I brought them chocolate and they refused to take it, because they said I didn’t need to thank them for what they were doing. These kids brought our whole group together. When I first told them I was leaving a day early they refused to believe me, and said I would have to wait until camp was over. Then I explained the situation, and they were forcefully convinced. Telling the rest of the color was just as difficult. Asri and Ara were my favorites but I loved the other kids too. Little Lusine and Anushig begged me not to go. Little Ishkhan actually listened to me when I asked him to learn the songs, gave me the nastiest wet kiss, and brought me my last flower. Arus a 14 year old mature young lady actually cried when handing me the letter she wrote. The girl I sent home the first day for being rude, who we allowed back because Vache is a softy, handed me a heart shaped card. Saying bye to the other Youth Corps participants was the worst, after living with them for five weeks, we would have to part. Leaving Vache, the person who I had grown the closest too was so annoying that we just kept arguing because neither of us wanted to deal with saying adios. It was 3 pm when Vache called me out of class, I lagged as much as possible but eventually I was forced out. All the kids came out by the taxi, and Asri and Ara sang the last “Seeroom em Kez”. When we told them we were returning to Shushi in a few days, they promised they would somehow find us. Vache told us if we didn’t get in the taxi, the taxi was leaving without us so we got in. Patil and I turned around and saw a crowd of kids with water bottles, ready to splash the car, wishing us a safe trip. Since I hadn’t already cried (yeah right) I really broke down. Saying bye to Shushi, was the start. It was like saying bye the summer that I believed to be my new life. I’ve been away from America for a month and a half, but I don’t feel like l ever left home. 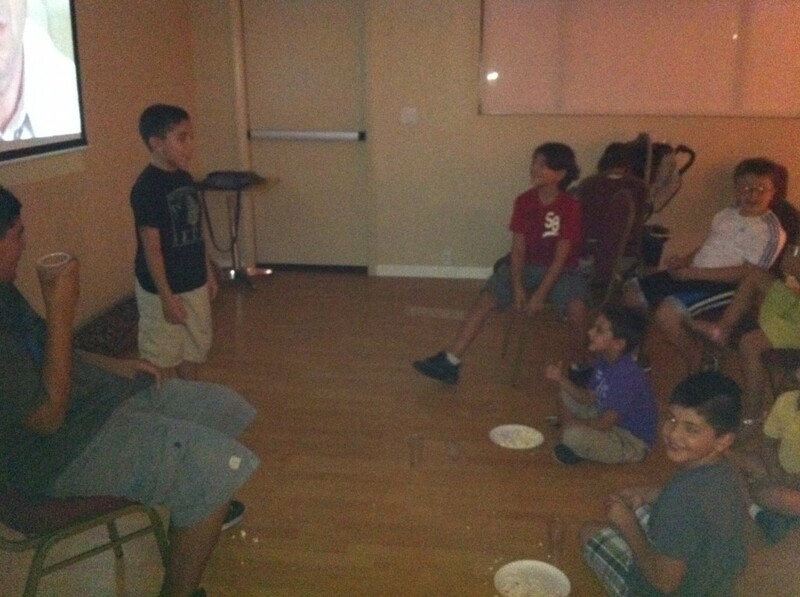 As the Summer Season started to coming to a end and Schools started to open, The Las Vegas “Sosse Mayrig” Chapter held its Movie night for the Youth of the Armenian Community in Las Vegas. 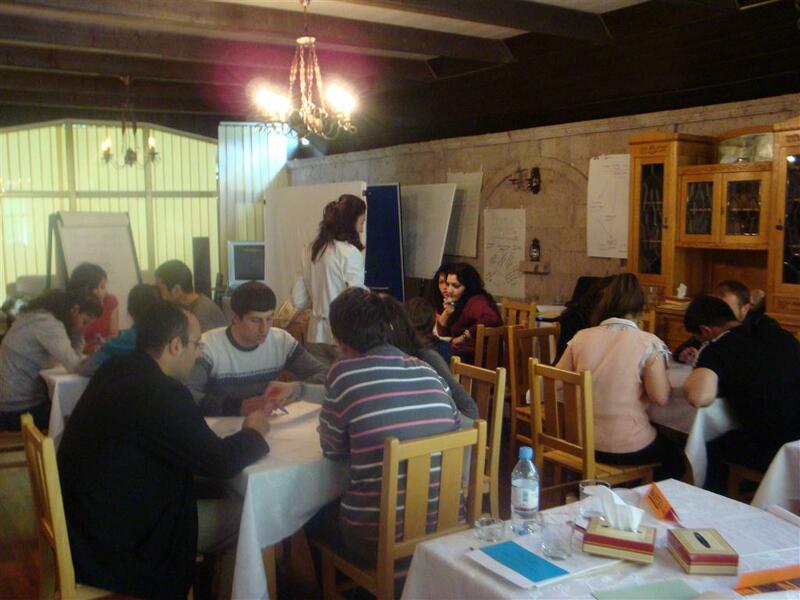 Participants in the training list key issues facing their youth organizations. YEREVAN — The Hrayr Maroukhian Foundation (HMF), a social democratic think tank founded in 2009 in the Republic of Armenia is a non-profit Armenian foundation committed to the development and advancement of public policy issues that espouse the basic values of social democracy through education, training, research, and regional and international cooperation. The aims of the foundation are to contribute to and actively promote a comprehensive national, regional and international dialogue focusing on current political, economic and social developments and challenges, with a primary concentration on Armenia and the South Caucasus. 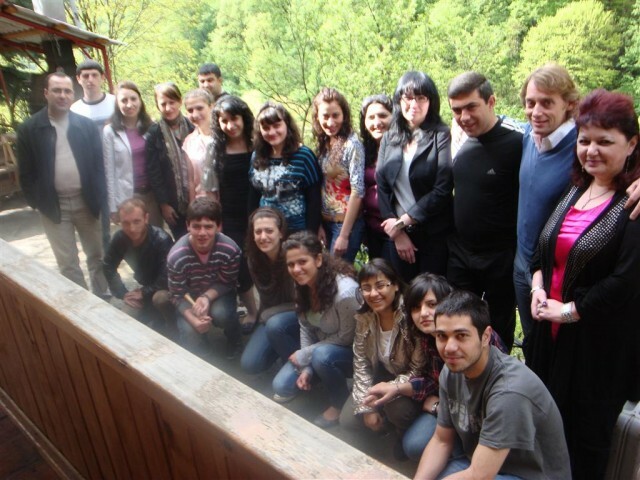 Participants in the Hrayr Maroukhian Training, May 2011, Dilijan. Among its many diverse projects, the Foundation produces academic research papers to serve in political decision-making and policy, organizes conferences and round tables, publishes studies on social democracy and conducts trainings for young political leaders. Since its creation, the HMF has initiated and executed several key projects. In order to address a number of deeply rooted problems in the Republic of Armenia and ensure the development of social democracy, sufficient policy research needs to be developed. For this reason the Hrayr Maroukhian Foundation along with the Friedrich Ebert Foundation of Germany conducted a groundbreaking study on social reform in Armenia. The purpose of this study is to present an alternative vision for social reform in the country by developing feasible, financially sustainable policy options in the areas of housing, unemployment and health. Through a designated working group of experts focusing on each specific policy area, this study aims to implement the populations’ right to quality housing, employment and accessible and affordable health care. The Hrayr Maroukhian Foundation is currently in the final phase of publishing the final policy paper in Armenian and English and will present it to government officials, political parties, academics, non-governmental organizations and foundations and international organizations at a conference in November 2011 in Yerevan. Presenting the findings from one of the working groups. As an important means for the dissemination of social democratic principles, the Foundation recently translated and published “Foundations of Social Democracy.” This book, originally printed in German, serves to provide individuals with a better understanding of the values, goals and the meaning of social democracy in the 21st century. The book is available at the HMF offices in Yerevan and a full electronic version will also be available on its website www.maroukhianfoundation.org. 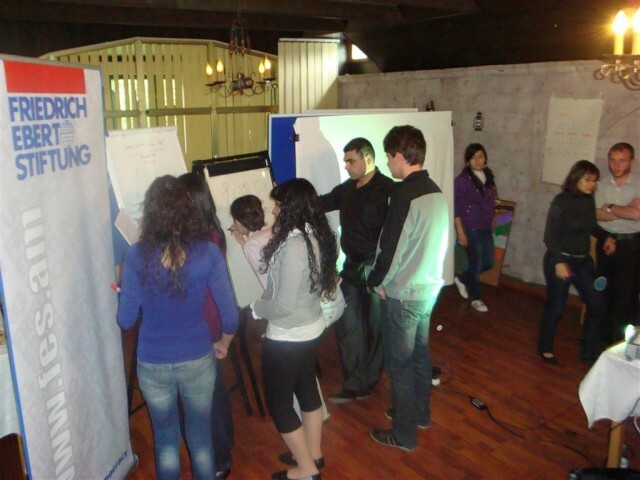 With the clear understanding that the youth have a key role to play in the empowerment of the country, the HMF organized a comprehensive three-day training seminar for twenty young political leaders in Dilijan, Armenia in May 2011. The training encompassed three main components for leadership building skills: Strategic Planning, Future Search and World Café. The strategic planning session taught participants how to define the goals and objectives of the youth organizations they were active in, as well as finding the most productive methods in implementing those goals. Trainer Bjorn Kulp leading the discussion. Later, the young leaders took part in Future Search, which outlined methods to develop alternative futures by finding diverse ways for solving problems. The final component titled World Café aimed to foster problem solving dialogue in unconventional settings such as coffee shops. After three intensive days of training, participants left the seminar equipped with innovative techniques and a clearer vision of how to effectively work within their youth organizations. Recently, HMF received a grant from the Norwegian Ministry of Foreign Affairs to produce a six part mini-series about the problems, challenges and achievements of Armenian women entitled “Women in Armenia.” Through these six half hour segments, to be aired on Yerkir Media in the fall, HMF plans to highlight the difficulties encountered by women in private and public life while at the same time showcasing the positive impact women have in the democratic development of their society. The segment topics to be covered include, women in politics, women in business, women in armed conflict, domestic violence against women, sexual harassment against women and women and health care. 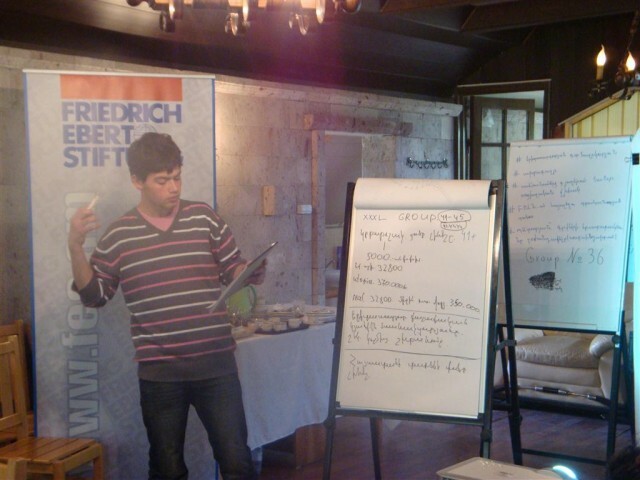 In October 2011, the Foundation will be conducting a special training on social democracy. This project will focus on the basics of social democracy; European SD in the last two decades; debates about the future of SD and its relevance for Armenia. One of the authors of the book, “Foundations of Social Democracy,” Christian Krell will lead the training with a co-trainer for political leaders in Yerevan. During the training, the current political and economic situation in Armenia will be discussed. Seminar participants taking part in the World Cafe training. By conducting policy research, organizing training seminars and the dissemination of information, along with other innovative projects in the future, the Hrayr Maroukhian Foundation will lay the foundations for long-term, systematic solutions to social, political and economic problems and will contribute to the development of more transparent, accountable, equitable and prosperous societies. For more information about the activities of the Hrayr Maroukhian Foundation, please visit: www.maroukhianfoundation.org or find us on Facebook at Hrayr Maroukhian Foundation. 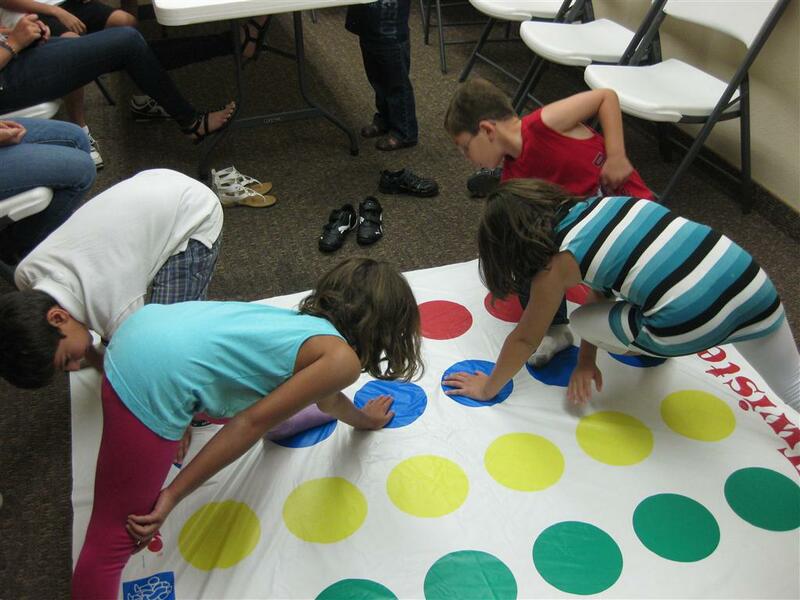 The Las Vegas “Sosse Mayrig” Chapter organized a night full of games and activities for the local youth of the community in the month of July. A promising group of potential members came out excited to interact with one another. 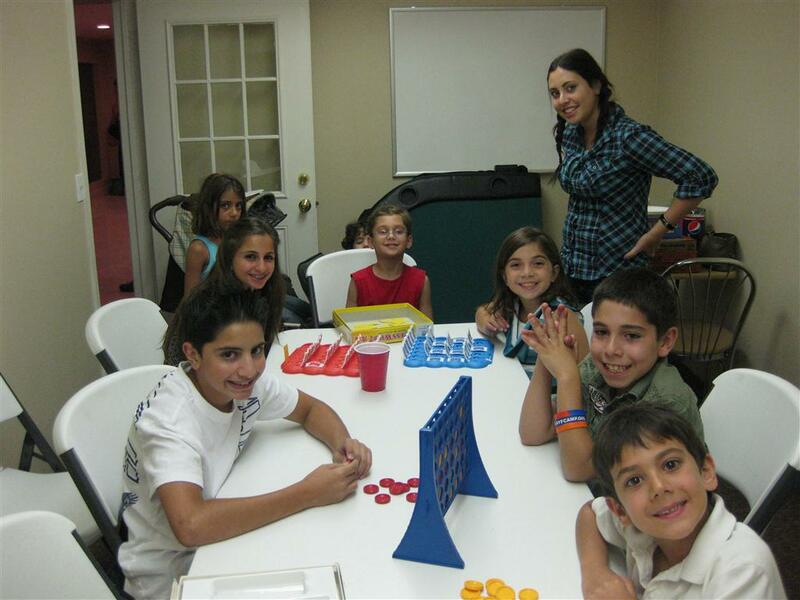 The youth enjoyed playing games like, “Guess who?”. “Connect Four”, “Twister”, and many more. The omnipresent marshrutka (Russian for taxi van) or երթուղային տաքսի (մարշրուտկա) is an invaluable part of transportation all over Armenia as well as most all post-Soviet and Central Asian countries. They exist as a privately-owned and operated supplement for inefficient and incapable public transportation. Whether a Gazelle or a Ford Transit, whether diesel or natural gas, you can’t look around any city without coming across a marshrutka. Using the marshrutka system is a great way to get around on a budget, and in the spirit of the AYF Youth Corps program, allows the rider to experience the real Armenia…rather than a touristy bus, or taxi. However, there are some important rules to follow…so you don’t look like a noobie. While you might get on the van (which has 16 total seats) with 4-5 people, the number of riders will quickly multiply…exponentially. 6…8…10..14…16…20…22…24…26…and the most I’ve ever seen 28 people packed like sardines. While everyone is contorted and smooshed, there is a certain elegance to it all that resembles some sort of acrobatic act, or ballet. Sweltering at times, the seats next to the windows are few and very much in demand. While the men tend to drip sweat, and remind us of the sparse usage of deodorant, the female riders, never flinch, never sweat and never lose any of their gracefulness. Marshrutka etiquette always says that first-come-first-served doesn’t exist. Men give up their seats to women…and everyone give up their seats to the elderly. Also, people actually help each other, and you should be ready to help your fellow riders. Help them in and out, help open the door when people need to get out, help get change to a rider leaving the van, help each other carry bags and groceries. This is all unspoken and a very powerful indicator of the communal and hospitable aspects of Armenia. Wanna look like a rookie? Ask how much the ride costs when you get on. Wanna look like a pro, either assume it’s a 100 dram, or keep a keen eye out on how much riders leaving the van are paying. Also, always keep in mind that you pay the driver when you leave for your stop. If you have more than one rider with you, pay together and mention how many riders you’re paying for. Different marshrutkas have different routes and the best way you can find out which you need is by asking locals. Don’t wait to get on the van and ask where it goes, ask the locals in the area you are in which van you need to get to where you are going. It is critical to note that the driver will never announce the stops along the way..so know where you are going and when to ask the driver to pull over…or else you’ll end up at the end of the route. Try it! Don’t worry about getting lost, or taking longer than expected to get to where you are going. The satisfaction and personal experience of using public transportation, along with the thousands of drams saved from using taxis is well worth it. While running AYF Camp Shushi, our group stayed in the home of Saro and Hasmig Saryan. They were the most remarkable, friendly and hospitable couple you can imagine. Hasmig was always the a mother to our group, she nearly cried when Adrienne fell and needed stitches, she always asked what we ate and what we wanted her to prepare for us, and she made sure our beds were always comfortable. Saro, who works as an officer, was always full of incredible stories from the liberation war, and was always curious to improve his nearly-fluent English. He is also the Chairman of the Nagorno-Karabakh Republic Refugee Organization. Below is an interview with Saro that gives us some great insight. Sarasar (Saro) Saryan was born in 1962, in Baku. He graduated from the Pedagogic Institute of Krupskaya in Yoshakr, Ola (USSR). Saryan arrived in Nagorno-Karabakh in 1988 with his family after the well-known events in the Azerbaijani SSR. He established the Committee of Refugees in 1989 and later the state agency Department of Work with IDPs, and also taught Geography in local school. After the armed hostilities began, Saryan joined the army in 1991. After the end of the hostilities he was asked to serve as Chief of Staff of the Civil Defense in Shushi city. In August 2004 refugee organizations were reestablished across NKR under the “NKR Refugee Organization”, and Saryan was twice re-elected as its Chairman. First of all, from the very outset our organization joined an association formed by International Alert in 2005. Thus we have restated our peaceful stance on the conflict settlement. Up until now we have taken part in many seminars and workshops to facilitate this process. However, we have our own view on the process – we are for the international recognition of NKR. On the social track we are working hard on refugee issues, to make the government help the refugees, their families, and to compensate all their sufferings after they were deported from various parts of Azerbaijan. So far we have observed small victories in this, primarily in 2005 when we campaigned for and supported the Law on Refugees, which the National Assembly adopted and the Government is now implementing. Above everything else, this Law saw the government compensate the refugees and introduce financial assistance to refugees for their moral, physical and financial losses in late 1980s and 1990s. Unfortunately, this was the first and last time, so far, that the government has give financial assistance to refugees. In meetings and workshops abroad we have consistently advocated the granting of an “international” status for Armenian refugees, which Azerbaijani refugees already have. Turning back to the settlement issue, the fact that we (Armenians) were killed, suppressed and expelled from Azerbaijan, and, despite this, were able to protect ourselves in Nagorno-Karabakh and since the end of the independence war we have been building our statehood, I believe our statehood – the Nagorno-Karabakh Republic – should be recognized internationally. However, the way to obtaining international recognition should be peaceful. The international community should take the whole snapshot of the situation here on the ground, and the civil society in Azerbaijan should be developed in order to accept the situation here on the ground. In all our meetings and workshops I have continuously voiced an idea that, perhaps, Azerbaijan needs more international donor assistance, grants for developing their democracy, in order for them to realize that peaceful coexistence with NKR is the right way to go. In my perspective, in the long term (I don’t know what period your “long term” is though) I see NKR as an integral part of Armenia. In the mid-term however I appreciate NKR building its independent status. First of all, in a historic perspective (this is the topic which we try to escape talking about during our meetings with our Azeri colleagues in third countries) the ownership of Karabakh – both the Highland and Lower parts – was Armenian. Now I don’t want to comment further on this, and can guess they (Azeris) have their own versions of history. Second, the economy of NKR and Armenia is tightly connected and NKR will always remain attached to Armenia in trade and economic terms. Third, if we consider the historical perspective, let’s remember the case of the Cilician Armenian Kingdom, which was unable to develop in a sustainable manner since it was disconnected from historical parts of Armenia. Now I believe that in the long run it will be “defective” to have two separate Armenian states, though I am not opposed to the present situation where we have an independent Armenia and NKR due to political reasons. What I mean, is perhaps we may climb towards the re-unification stage by stage. However it is, in my perspective I see these countries re-united. We are one and the same nation. First of all, an expulsion of the population will kick off immediately. If this ever happens (Nagorno-Karabakh becoming part of Azerbaijan) this will only be by force. Any attempt of inclusion of NKR into Azerbaijan will be by force and against all universal norms of international relations and the law. This will cause huge damage to the Armenian psychology and ideology. The utmost result of this may be a Karabakh without a single Armenian. In my perspective I want to see the triumph of historical justice at the end of the day. However, I don’t think that international recognition of NKR will bring the “Armenian issue” to its final destination. With an independent Artsakh today paving its own way to happiness, we still have Western Armenia in Turkey and Javakhk still under the repression of the Georgian government. The way the Jews have established their statehood on their historical lands, the same way we must on our lands. However we shouldn’t use force and wage wars to achieve this, that would negatively shadow (affect) our national goals. This is an issue for another interview, let’s move forward. First and foremost, I am not satisfied as far as the incumbent government is away from the ongoing negotiations process, it doesn’t play a satisfactory role. This is to say that for today our country is not a full power party in the peace process, doesn’t directly take part in the talks, and perhaps one of the reasons to blame is the weak diplomacy of NKR officials. Of course, during the wartime before 1994 and also until 1998 NKR high-level officials were directly involved into the peace negotiations with Azerbaijan. I know that many people blame Robert Kocharian for removing NKR from the table. In this regard our leadership here in Stepanakert should be blamed. However, I know and I can see that the incumbent authorities in NKR try their best now to be again included in the negotiations as a full party, this is positive. The President of NKR repeatedly speaks on this, this is positive. However maybe they need to be much stronger on this, I don’t know. We began our fight of self-defense in Stepanakert, in Berdadzor and the Hadrut subdistrict and other settlement areas that were under direct fire of Azerbaijani army and militia. We protected the population here, but at a certain moment before 1994 we stopped our fight and gave an opportunity to the Azerbaijani leadership to consider a peaceful settlement. We used to believe that after we stopped the war and pulled back, the army of the aggressor would sit down at a table and begin negotiating a peaceful settlement, even though we might march forward and place them under harder conditions. But our leadership chose a path of peaceful settlement. However, the Azerbaijani side fails to pursue this opportunity now. First of all, I assess this OSCE Minsk Group mission as a deterrent to Azerbaijani’s alleged readiness to wage a new war against NKR. In this aspect the job is very much positive. I believe that it’s better to have the Minsk Group working, to prevent a new war. This is my perception. But sometimes the Minsk Group assembles some monitoring missions to the NKR territories. This was the second monitoring mission, and I do welcome the mentioning of refugee issues in the report, whom they met in the NKR regions. However I am not completely satisfied as the monitoring was again, for the second time, a one-sided mission, covering only the Karabakh territories. The mission report indicated that there are refugees living in the NKR border regions without IDs and other documents. Of course, this is a matter of fact, I do confirm that they live in such conditions. I do welcome that the report indicated the poor conditions that the refugees live in, and the government of NKR should improve their life. This is very important. However, I am a bit suspicious that the Minsk Group for the second time undertook a field assessment mission only in the NKR territories, but the Karabakh lands that are under Azerbaijani army control since 1994 – Shahumyan, Getashen, etc. –escaped assessment. We are well aware what is happening in those areas of Karabakh, and we would like the Minsk Group to acknowledge all the facts on the ground. But all in all, of course, as I mentioned earlier, I am positive towards the Minsk Group. I have previously, of course, expressed my position, my concerns over this Madrid Document, and especially I am worried about the so-called Additional Principles to the Document. I would say that that document was veiled, and when the co-Chairs unveiled them, I would claim that even if Azerbaijan and Armenia signed it, I am 100% sure that the Karabakh side would never sign it. Those principles do not fit our interests. They don’t take into account the real things on the ground. Just because of the unrecognized status of NKR it did not participate, as I understand it, in the negotiations, and the Madrid Document was therefore not enriched with the official position of Stepanakert, and therefore I don’t think we would ever sign it. For example, I always criticized the point on the refugee return, since it considered only the return of Azeri refugees, disregarding Armenian refugees. No, not “instead” of Armenia, but as the third side. It’s very dangerous to replace the well established diplomacy of Armenia, which knows all the nuances of the conflict, with only the NKR side. In this regard, as Armenia has always been a security guarantor for NKR and its citizens, it shall remain in this capacity. Besides, the conflict has also breached the national interests of Armenia – the issue of Artsvashen, for example, or the continuous air and land bombardments of Armenian’s border regions by Azerbaijani troops. In this regard, Armenia just logically cannot be put outside the scope of the peace process. I don’t think that the NKR authorities plan to replace Armenia when they voice the need of their inclusion in the negotiations. There is no logic in this, it is simply illogical. Moreover, considering the incumbent authorities in Azerbaijan, I don’t think that any such thing has ever happened in world history before. There are no logics in this. On the other issue, if you changed the wording to “territories vs. sincere words to recognize our status”, this would create conditions where Karabakhis could be more flexible on the issues of Shahumyan, Mardakert etc., if Azerbaijan recognized the independence of the Nagorno-Karabakh Republic first, in accordance with the status as it is today. However in the situation that we have today, what you suggest is too dangerous, and it is even more dangerous for Azerbaijan itself. If the armed hostilities began again, huge damage would be done to Azerbaijan as well. Whatever is done wrong towards NKR, the echoes would be heard in Azerbaijan as well, its population, which, by the way, is absolutely innocent. They also suffered from their own government’s decision to wage an aggressive war against NKR and its people. This is yet another story, which I voiced on various occasions in Vienna, Brussels and elsewhere. I am sure that Azeri refugees have their rights, and are due an even greater compensation from their own government which placed them under threat then and in such a poor condition now. Traditionally, since even the times of Alexander the Great, great powers have tried to put the world in order. In our case, third countries need to participate in the efforts to help the parties reach a compromise, but those third parties should not have their direct national interests at stake. In any case, those interests should be “remote” interests, as Europe or the United States or Russia has today. I believe that these states are able to help us. Of course, I wish that the interests of Russia match with the interests of Europe and the United States with regards to Karabakh’s democratic reform and development, etc. Of course, if I would now say that I strongly oppose any Turkish role in this process, but let Iran take part – this will be illogical. Maybe this is why we need to exclude these small powers, which were once great empires previously, so that they forget about their revanchist policies. Turkey “does its best” to be included in the peace process, and Iran “offers”. I guess we should ask Iran not to interfere so as to minimize Turkey’s ambitions of active participation. In order to be impartial mediators, Turkey and Iran need to transform on a long way to democracy. Turkey needs to be excluded from this peace process, since during the war in the early 1990s it was a direct side to the conflict, actively supporting Azerbaijan diplomatically and with manpower and weapons. Unconditionally yes and as positive. I do believe in this. Both before the final settlement and after. I can bring our own example – as soon as our trips to Turkey or Tbilisi began, though it was hard to discuss these issues before, now it is much easier. We have done a great job in this regard. We were the ones to amend (erase) the “enemy image” from here. However it was hard at the beginning – between 2005 and 2007. It was hard to share it here that we were going to Tbilisi or elsewhere to talk to Azerbaijanis. But that job is very important. These informal meetings that proceed under such hard conditions at first, now are doing a good job – I think this is thanks to those engaged in the debates. This will bring these two wise nations – Armenians and Azerbaijanis – to a mutual understanding. First of all, do you mean NKR and Azerbaijan by saying “their two countries”? In this regard I guess you need to ask about three countries – Armenia, Azerbaijan and NKR to get the full picture. I know many people in our elite that passed through all the horrors of war, and they now represent the intelligentsia of Karabakh. All of them used to say that the Azeri nation is a nice nation, that it was very easy for them to deal with Azeris, to trade with them. They used to say that Azeris might have been the best neighbors for us among all others in the region. But not in co-habitation. That’s why I said “neighbors”. Our society is ready to normalize its relations with Azeris (if they will have better authorities) as a neighboring nation. Let them come here, live in our hotels, we will invite them into our houses, they can open up a border bazaar – but no mass settlement on our lands. We may have better relations with Azeris as neighbors, rather than with any form of co-habitation under a single roof. As I said earlier, I don’t think these two nations can live “together”, this is a no-go, but I believe they can live peacefully as neighbors. We have lost so many Armenian cities, such as Baku and Sumgayit, which were built by Armenians. There is no single Armenian living there now as a result of known policies of their leadership, which have continued ever since. By the way, I would like to stress that I am not talking about the common people, I talk about the leadership of Azerbaijan. In short, we say “yes” to neighborhood, but a clear cut “no” to co-habitation. We have suffered enough – just remember Western Armenia, and recently in Nakhijevan. They “fight” even against our cultural heritage, they destroy our khachkars and everything. We cannot trust them now, not now. I don’t see any logic in this. We had “switched” not only territories, but also “switched” apartments and other property. Those refugees could settle in the houses that Armenians left in the Azerbaijani capital and other cities. We have left so much property in Azerbaijan that they need to compensate us for many years. I don’t believe that under present conditions Armenians or Azerbaijanis will be able to return to their houses on either side of the frontier. On the first and only Sunday we’d be spending in Artsakh, we decided to go on a hike to the Hunod River. I’d heard stories about this place. It is where Armenian soldiers had climbed up in the battle for Shushi and won. We had seen the view from the top of the canyon and it was breathtaking and now we were going to go below. I had been feeling ill and was not too excited about a 30 minute hike, but I was pleasantly surprised. The beauty of the place and the local AYF members made the day one I will never forget. What I had seen so far of Shushi so far was war-torn buildings, rocky roads, and an overall sense of abandonment. This trip showed me that behind all the destruction, and seemingly lost hope, there is beauty waiting to be discovered. We hiked through the mountains, walked under a waterfall, crossed the river on overfallen logs and finally reached our destination: a flat area near the river where we (or I should say those of us who are less clumsy than me) made a fire to cook the food. We weren’t there long before we all dove into the river and began swimming (or I should say those of us who know how to swim swam and I watched from a rock in the middle of the river). 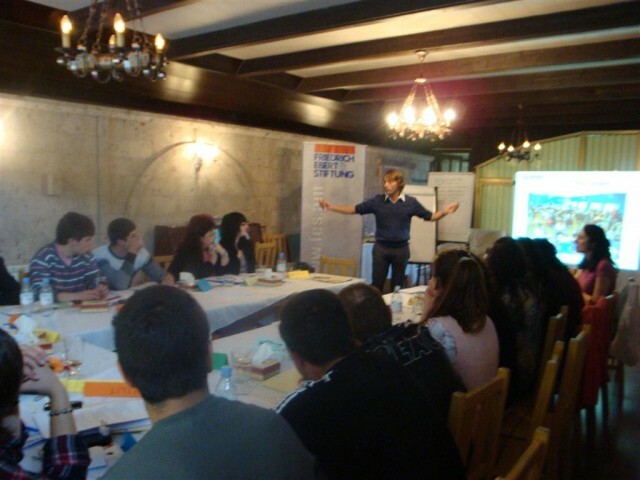 Youth Corps Canada: Camp Vanadzor in full swing! Hope everyone back in Canada is doing well. Our group of 9 “oukhdavors” has comfortably settled in Vanatsor by now. Our jampar began on Monday morning; 50 kids showed up despite it being “Merelots”. They met us with smiles and curiosity as we explained the purpose of the jampar and let them in on what we’ve planned over the course of the next two weeks. On the first day, the counselors took time to learn more about the kids, get accustomed to terms and expressions to better understand the children… Since then, we’ve done arts and crafts, science experiments, learned “Mshag Panvor”, celebrated Vartavar and visited the local church with the group. As the days go by, word gets around about our initiative and it’s becoming very difficult to turn the newcomers away each morning as we’ve reached maximum capacity with 90 kids attending our camp daily. Mingling with these kids is truly fulfilling. They are full of energy and have such interest for everything we present them. It is refreshing to see them walk through the doors of our camp each morning, proudly sporting their t-shirts and greeting us with a “barev unger – ungerouhi”. I can’t wait to see how things will unravel over the course of the next two weeks… Stay tuned! As I sit in this van, leaving Gyumri and Digin Lilig’s home, I look out into a rainy scenery, with a few tears of my own streaming down my face. I come to realize at this moment how much my outlook on family and that concept of home has changed within these last five weeks. I’m thousands of miles away from home and yet still feel so at “home” with a strong sense of belonging, right here in this very moment in Armenia. Home isn’t about where you reside but more so the emotional ties and bonds that bridge the gap between you and a place or your relations with people. This last month I’ve learned just that, from Stepanagert, to Gyumri, to Javakhk, not once did I feel like an outsider, like I didn’t belong. In each one of these locations I formed a family, a home, somewhere I knew I could go whenever I wanted to, without even calling days ahead of time to see if it was even ok to come over. Family accepts you with open arms, their home is your home. Something we were asked here a lot was, “Hayasdanuh tser turneen yegav?” Roughly translated to, “Did you like Armenia? Are you satisfied?” Our answer every time was yes, we couldn’t have asked for more. In Armenia, even if you aren’t family by blood, you will become family by association. The people here will open their homes to you, offer you everything they have, even if they can’t afford it. To them, your presence in their home is worth more than a table with gold laid upon it. This was evident in Gyumri when we went to visit one of our campers at his home, which you wouldn’t consider a house. He lived in a “domik” which is a small tin shack, the size of a small garden shed. Many people in Gyumri live in these domiks due to the massive earthquake in 1988 that tore the city down. Domiks were built as temporary housing, just until some rebuilding could be done, but 23 years later people still live in them with hopes of one day being able to move out and afford proper housing. Whether it was at Digin Lilig’s house in Gyumri, Babo’s house in Stepanagert, the agoump in Javakhk, or the little domik, it was considered a home. You can have a million dollar mansion for all I care, but it will never have the luxury you get from a home like the domik if there’s no love, selflessness, and the feeling of belonging and reassurance. Armenia will always be accepting with open arms, no matter when, no matter what.